Some photos are taken at the very perfect moment. This one, seems to have been taken from the perfect angle! 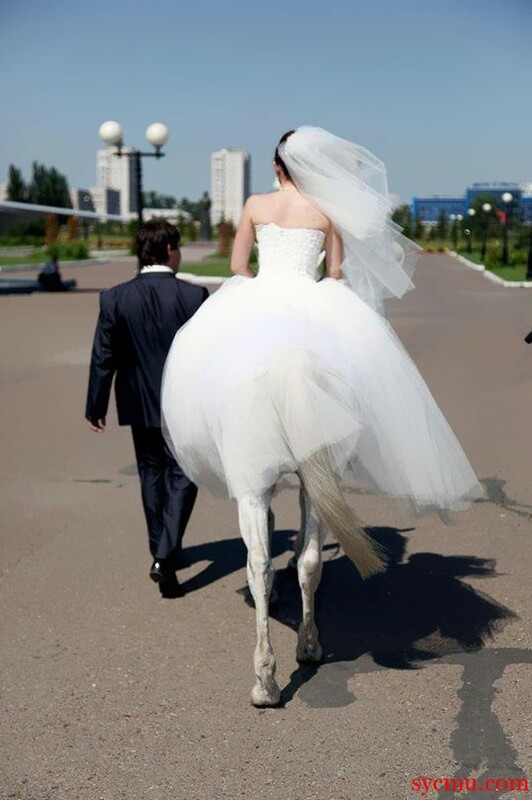 So what lesson can we learn from this half-horse, half-bride? Well, if you decide to spend your wedding day, or photoshoot on a horse, make sure to ask the cameraman to walk in front. « Where is heaven, and where is hell?